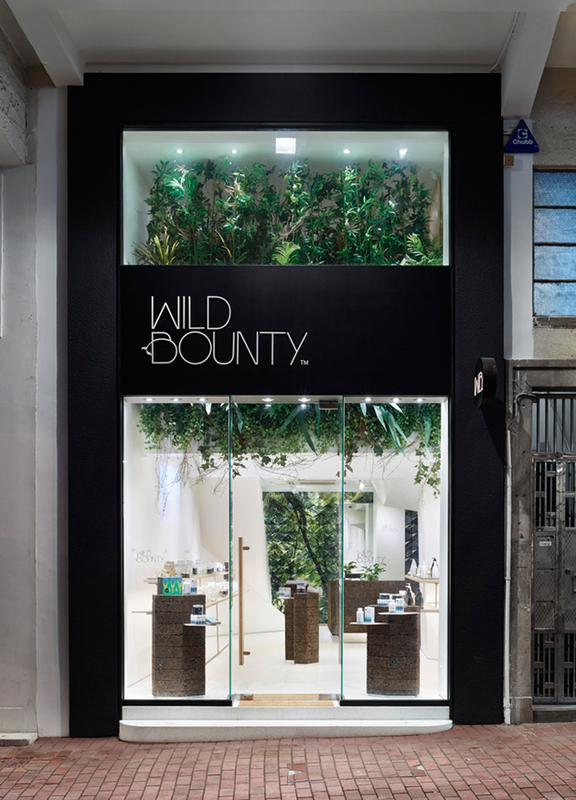 The store design is based on the idea of expressing the power harnessed in New Zealand natural environment. Cues from the brands’ packaging design, a controlled palette of materials and forms are combined into a distinctive retail experience that elevates the products. 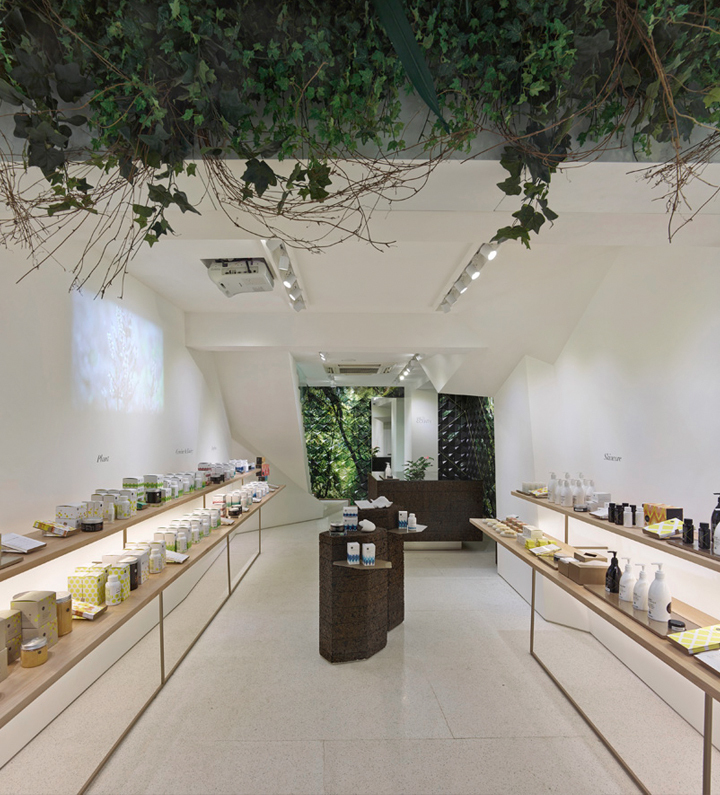 A large plant wall creates a striking shopfront image, while inside long tiered solid wood display shelves stand out against the subtly angled lines of the perimeter walls and the soft tones of the terrazzo flooring. A lot of care was put into designing the product presentation. 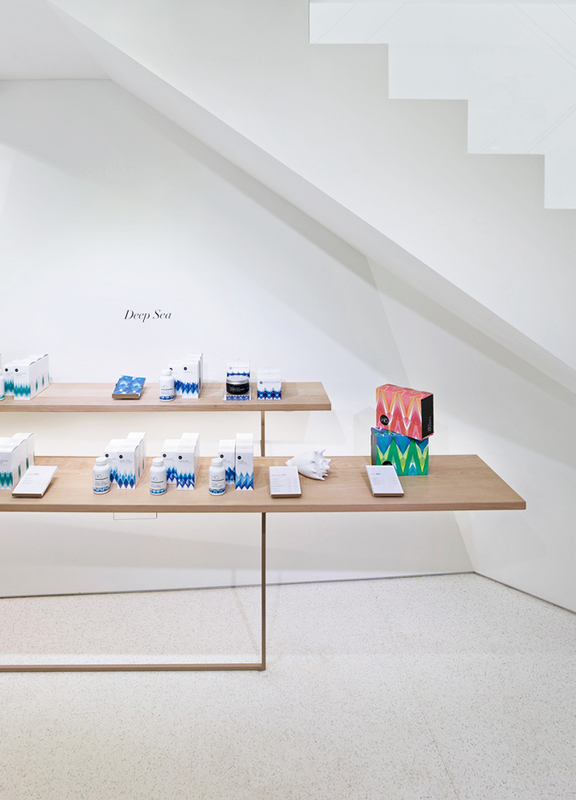 A selection of display and tester trays, graphic displays and visual merchandising guidelines make the product range very accessible. Cork display columns with plated steel inserts showcase key offers. 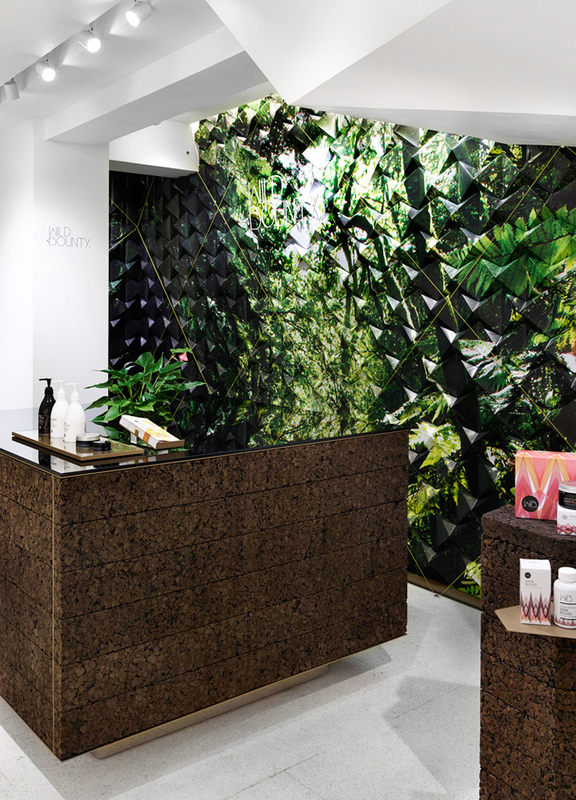 A graphic wall with a striking three-dimensional treatment acts as a background for the cork-and-glass service counter. Playful details such as the handles and railings, display tools and the yellow gridlines that lead the first-floor treatment room complement the experience.